He’s talking about his office’s treadmill desk, which was supplied by upper management as an experiment. Intended to be shared by employees, the station has a network computer and a phone with a headset. Members of his department rotate through using it over the course of the day. Staff from other departments have stopped in to try it. 1.8 mph. That means Rowekamp could potentially walk 14 miles in his 8-hour workday. More importantly, however, it’s that he’s not sitting. We’ve heard that obesity is an epidemic, but multiple studies also show that sitting increases the chance of death; compared to active people, mortality for people who sit more than 11 hours per day increase their risk by 40 percent. Sitting more than eight hours a day increases that risk by 15 percent. All of this means that related illness and discomfort reduce employee performance, increase absences and raise health care costs. Other research about treadmill desks shows that fine motor skills such as keyboarding can diminish (thus causing quite a few typos), but cognitive abilities such as problem-solving will improve. In their home office, Mike Sliter and his wife, Katharine, have two super-tweaky walking work stations on facing walls. The $5,000 rigs have electronic height adjustments for both the desk and the treadmill. A sliding control panel tucked under the desktop tracks speed, distance walked and calories burned. On days when Mike doesn’t run outside or go to the gym, he’ll average six to eight miles a day walking at 1.2 mph, which is his preferred speed. Sliter first used a treadmill desk when he was an assistant professor of psychology at Indiana University and Purdue University (IUPUI). Soon thereafter, he started doing research into the potential benefits of this kind of active workstation. 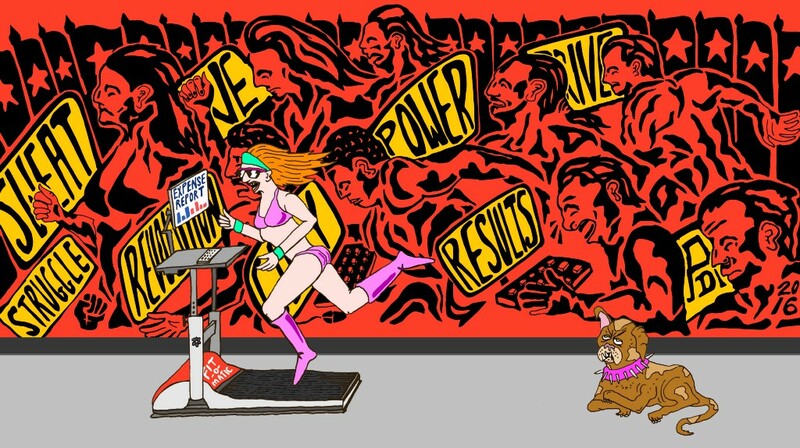 One study he co-authored found users of treadmill desks “had higher satisfaction and arousal and experienced less boredom and stress” than people who sat at a traditional desk. (Here “arousal” means being more engaged and interested in the work.) Employers hope that this kind of profile leads to a more productive worker. 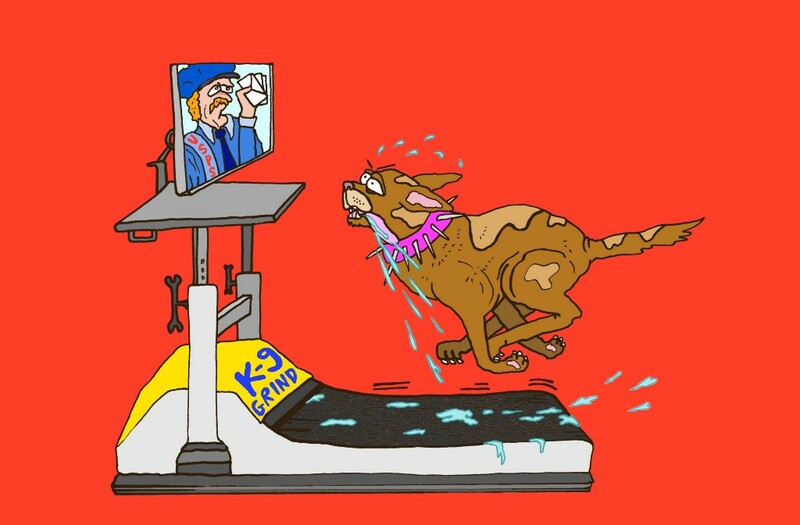 But despite the obvious images that the treadmill desk conjures — yes, the proverbial rat on a treadmill — Sliter says that being active and working aren’t as incompatible as they might seem. The only drawback he’s found? Margo Pierce is a science writer poking her nose climate change, earth science, neurology and anything else that piques her curiosity. Find her at www.writerdiva.com. For even more MEL, follow us on Medium or subscribe to the newsletter.